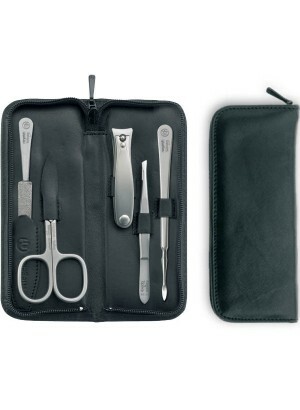 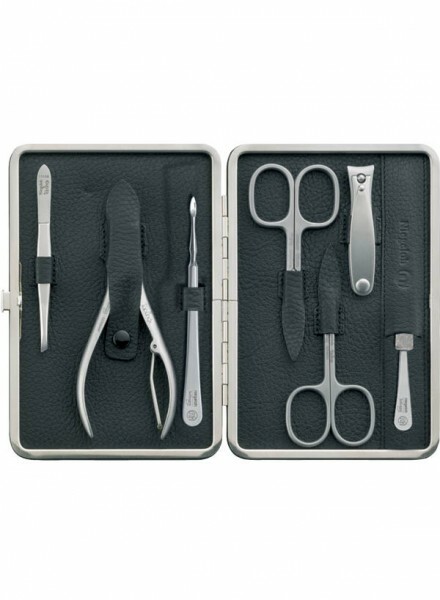 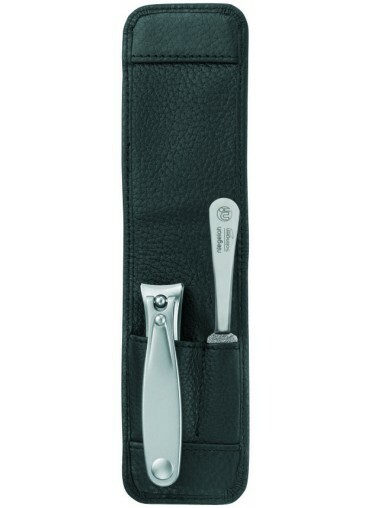 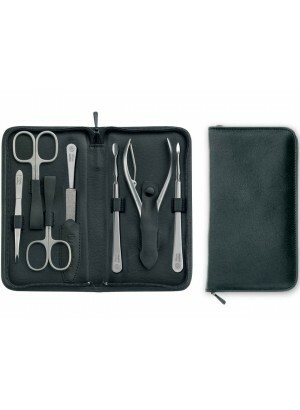 Top quality Solingen manicure set Imantado XS includes a large Topinox clipper and a solid stainless steel nail file beautifully presented in a soft luxury leather case. 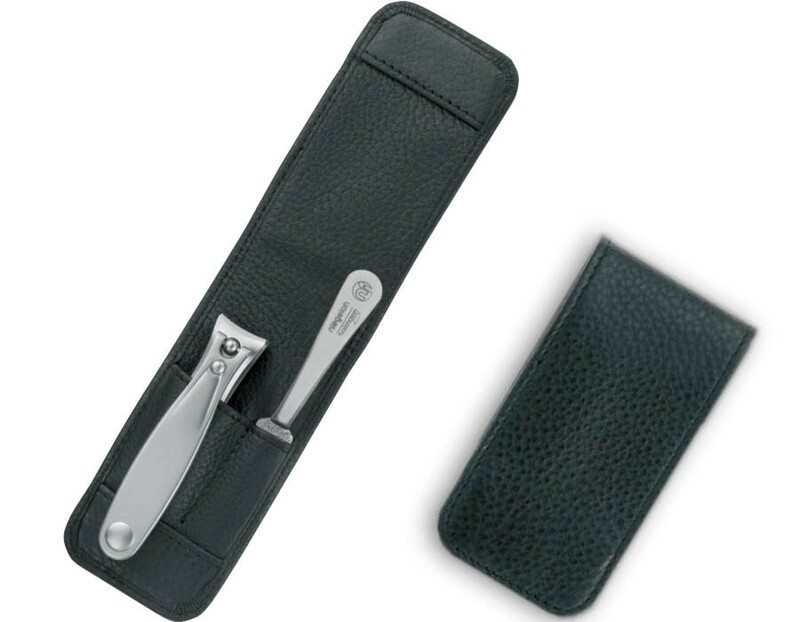 Topinox nail clipper has been featured on Discovery Channel and is praiseworthy for specially tempered stainless steel Topinox, perfectly sharp blades and ultimate durability of the cutting edge, so nails are cut smoothly and evenly over a very long time. 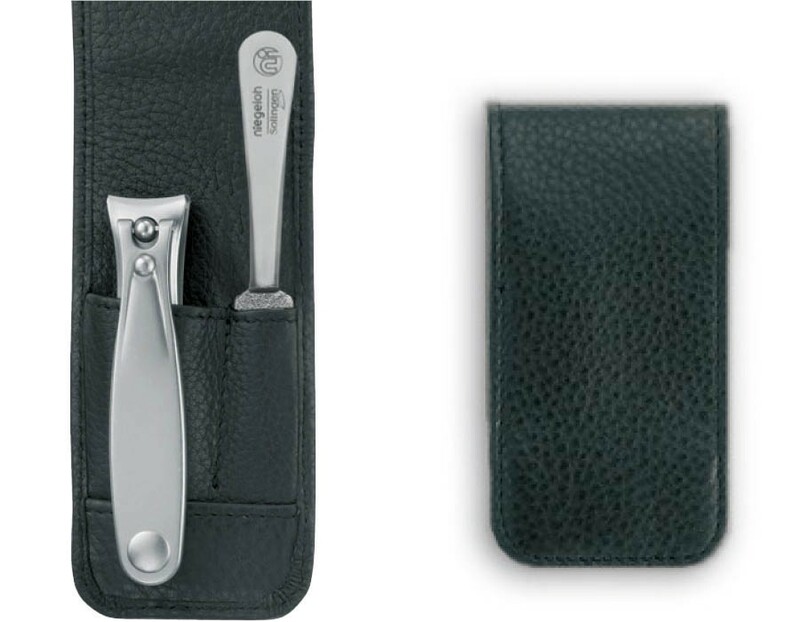 To enhance premium quality, the bolts have been sourced from Switzerland and are similar to those used by the world's leading watch makers. 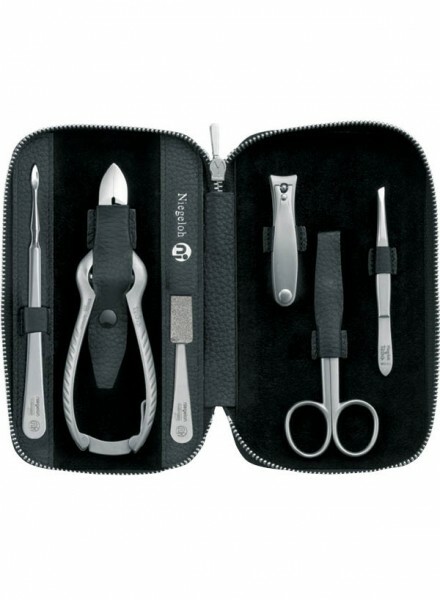 It feels extremely well balanced in the hand and gives the best control over nail cutting. 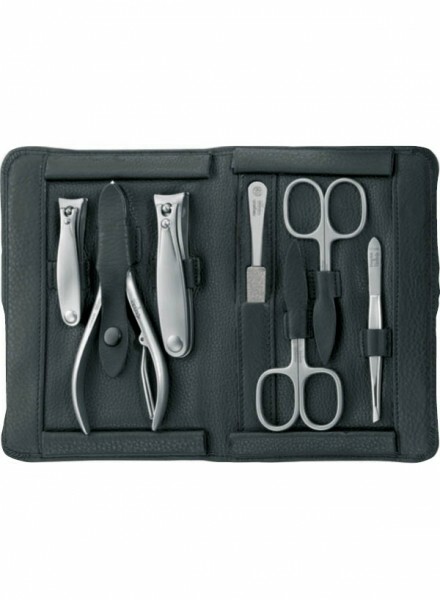 Large mouth allows to trim toenails and large fingernails with absolute minimum amount of clips. 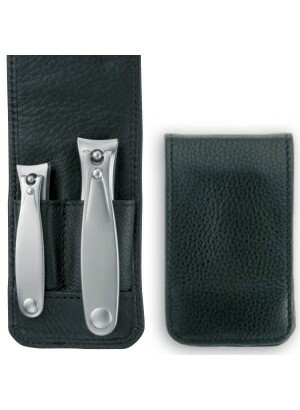 Topinox nail file is made entirely of stainless steel and effectively smoothens the edges so they don't catch on socks. Sufficient amount of chromium ensures the grains are adhered properly and the nail file will last for a very long time. 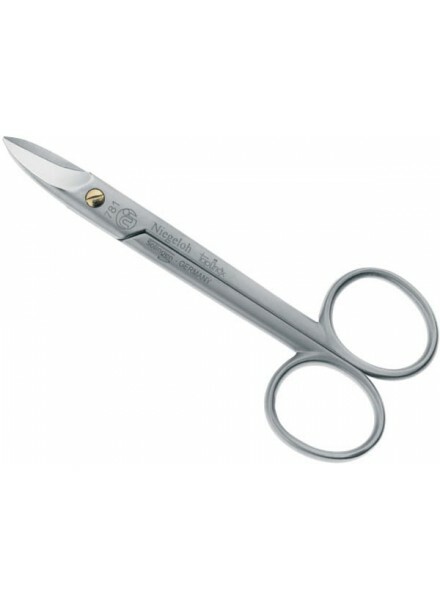 • Material: Topinox stainless steel with noble satin finish. Topinox is rust-free, nickel-free and sterilisable. • About manufacturer: Niegeloh Solingen puts quality first and brings innovative approaches to making the finest manicure and pedicure instruments since 1936. 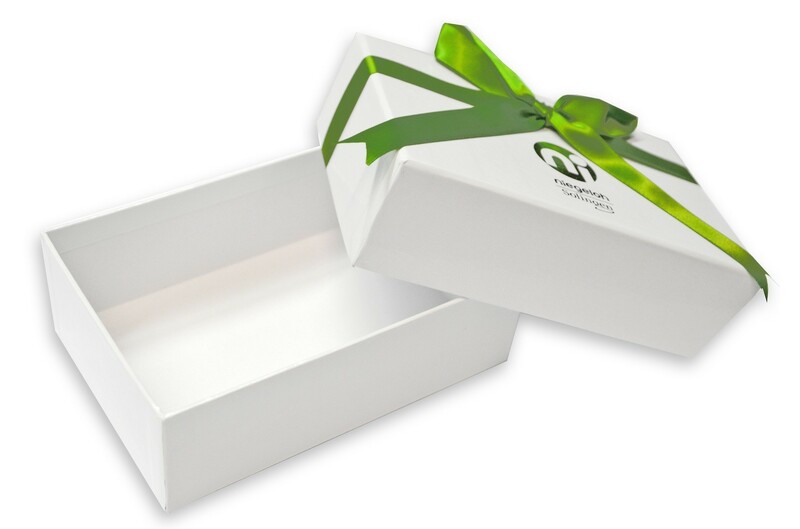 • Packaging: Premium white box with a green bow.